The following are a selection of testimonials from satisfied clients. 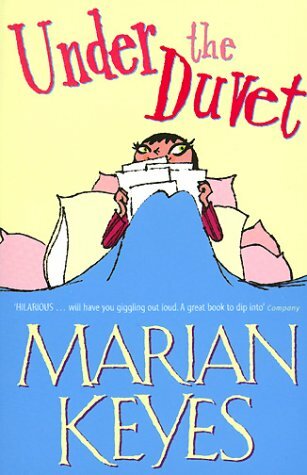 I have included an excerpt from Marian Keyes book ‘Under The Duvet’ in which she talks about her experience with my angel channeling. ‘When I met Victoria I had just lost my son so it was a very difficult time in my life . Now I know it was the perfect moment to be introduced to the angelic world that I knew nothing about before. With the help and guidance of Victoria and my angels I found a place of peace and acceptance, I discovered how much comfort and joy there is in knowing your angels are always with you. I feel very grateful to Victoria for the work that she does to enable this connection. ‘I had two really powerful, and memorable, experiences at Victoria’s angel channelling session on Valentine’s Day, Opening to Love. The first was when she said to imagine being loved, being surrounded by love, by the angels, by their caring attention. The group sat with that for a while, then switched to its opposite – imagining full on negativity. The difference was incredible! SO powerful. Like walking from a beautiful sunlit day into crashing hideous storm. The next experience was trying to be still enough to become aware of awareness, our inner self. (not sure if i’ve got the words right, but this is how I remember). And I actually got it. Was so pleased; just sitting quietly and suddenly became aware of the inner self, sitting even more quietly! deep inside. Very amazing. I loved the Angel workshop. ‘Victoria is a gifted channel- her messages are not of this world and they are divinely sent. The perspective you will gain from Victoria’s gift will be both comforting and deeply insightful. Why wait for ages trying to figure it out yourself when you can get answers in lightening speed time’. I had my first surreal experience with Victoria in the city of angels – Los Angeles. We had the session in my yoga studio on the Sunset Strip and it was a phenomenal practice that I will remember and cherish as long as I live. We began with deep meditation and then I heard a soft voice, “hello dearest one. . .” It was Victoria? It was the angels? Anyway, I felt my heart suddenly open up and the angels listened and answered my questions. I was in such peace, comfort, and gratitude. I shared my concerns and beliefs with the angels and they understood me! It was the experience I never wanted to end. I was rejuvenated, reassured, and mostly loved after the session. I am very grateful to have Victoria in my life. She brings such joy, kindness, and love into this world. Indeed, Victoria is an angel – an angel in disguise. ‘I attended Victoria’s Angel Channelling Session last Sunday. I’m a consummate sceptic and I lost my faith at a young age. I’d previously done guided Mindfulness Meditation both in a group setting and on my own, using a CD. These meditations had enabled me achieve a peaceful, relaxed, state where I succeeded in putting my mental clutter to one side. Hi Victoria, Brenda Rock here. I did your wonderful workshop in Slane last month. I am getting back to you now to say a big thank you. It was very inspiring and I have come away with a lot from it.